PROGRAM: The program for this meeting is assigned to Lions Rich Tesar, Tim Smits and Skip DeYoung. They will have Barb Ferrari, Ingalls Heart Health Coordinator. Her topic will be "Did you know heart attacks have beginnings?" PANCAKE DAY: The South Holland Lions Club Pancake Day will be held on Saturday, May 7 at the South Holland Community Center from 7:30 till 11:30 am. All Lions are needed for this event to serve, clean, cook, etc. Still need tickets? Contact Lion Craig Vinke. INSTALLATION NIGHT: Our installation night this year will on June 2, 2016. Details and a head count will be taken at this meeting. PROGRAM: The program for this meeting will be the installation of the officers for 2014-15. Cost to spouses/guests will be $20.00. history of Oak Ridge Cemetery. if you plan on attending. Head count will be taken at this meeting. and takes them to the homes where they will spend all of eternity. which leads to a huge mansion. need, just let me know." to a shack. St. Peter says "Here you go" and goes to leave. had a lawyer here before." DINNER: Meat Loaf, potatoes, vegetable, salad, bread/butter, coffee and dessert. PROGRAM: Lions Frank Knittle, Brian Kolosh and Jason Huisman have the program for this meeting. They will have Dave DeGraff, South Holland Fire Department EMS coordinator, explain their new 12 lead technology and how it benefits our Village. COMMITTEE: The nominated slate of officers for the 2014-15 Lions Club year is as follows: The election of officers will take place at the April 3, 2014 meeting. PANCAKE DAY: The South Holland Lions Club Pancake Day will be held on Saturday, April 26, 2014 at the South Holland Community Center. Details and tickets should be available at this meeting. JOKE OF THE DAY: A foursome approached the sixteenth tee. The straight fairway ran along a road and bike path fenced on the left. The first golfer teed off and hooked the ball in that direction. But the ball went over the fence and bounced off the bike path onto the road, where it hit the tire of a moving bus and was knocked back on the fairway. As they stood in silent amazement, one man finally asked him, "How in earth did you do that?" He shrugged his shoulders and said, "You have to know the bus schedule." DINNER: Pork Chops, stuffing, vegetable, salad, bread/butter, coffee and dessert. PROGRAM: Lions Harry Witvoet, Scott Pothoven and Art Bennett have the program for this meeting. They will have a nutritionist speak about proper nutrition for all people and seniors in particular. Sounds like a great program, from which we can all benefit. 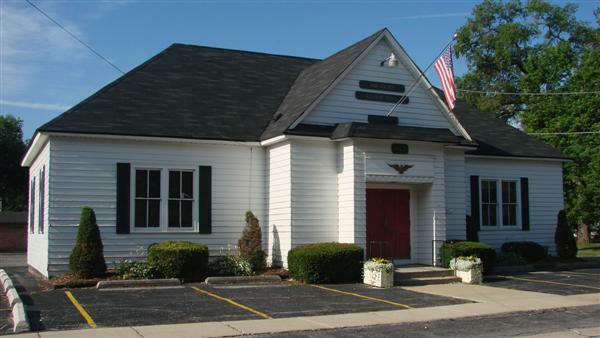 PANCAKE DAY: The South Holland Lions Club Pancake Day will be held on Saturday, April 26,2014 at the South Holland Community Center. Details to follow regarding tickets. 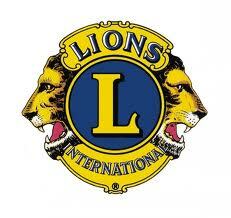 WEB SITE PICTURES: Lion Jim DeGroot will be taking individual pictures for the Lions Club website. Important that all Lions club members show for the meeting to be included. See you there!! JOKE OF THE DAY: A city slicker moves to the country and decides he's going to start farming. He goes to the co-op and tells the man, "Give me 100 baby chickens." The co-op man complies. A week later the man returns and says, "Give me 200 more baby chickens." The co-op man complies. Again, a week later the man returns. This time he says, "Give me 500 baby chickens." Wow, the co-op man replies, "You must really be doing well." "Naw" said the man with a sigh, "I am either planting them too close or too deep!" In 2013 the South Holland Lions Club launched a fund raising effort with the co-operation and support of the South Holland Business Community. Each year the Lions Club has hosted events to raise money to support causes such as Leader Dogs for the Blind, Lighthouse for the Blind and a variety of other community projects. While we have always enjoyed the support of the business community, in 2013 we expanded our efforts to involve both underwriting sponsors and participating vendors. Tickets were sold for our November Chili Supper for $10.00. Each ticket was good for admission to the Chili Supper and included a stub for $10.00 that could be used on a purchase from our participating vendors. The success of the program encouraged us to expand the program in 2014 allowing the tickets to be used either for admission to our Pancake Breakfast in April or our Chili Supper in November. We also invited the Thornton Lions Club to participate in the promotion. Thornton Lions has both a Steak Fry and a pancake breakfast in 2014. The Steak Fry will require two tickets for admission. The tickets will be available for both South Holland and Thornton Lions in March. The tickets may be used at all four events and the stubs may be used at participating until the end of 2014. We are grateful to the above for their support and in 2014 we will be seeking both additional Sponsors and Participating Vendors. DINNER: Chicken, rice, vegetables, salad, bread/butter, coffee and dessert. PROGRAM: Lions Larry VanDrunen, Roger Bonnema, and Rich Tesar have the program for this meeting. Exact details were not available at the time of mailing. PANCAKE DAY: The South Holland Lions Club Pancake Day will be held on Saturday, April 26, 2014 at the South Holland Community Center. Details to follow regarding tickets and times. JOKE OF THE DAY: A lawyer defending a man accused of burglary tried this creative defense. With his lawyers assistance he detached his artificial limb, laid it on the bench and walked out. BOWLING: District 1A bowling will be at Willowbrook Lanes in February 2014 again this year. Anyone interested in bowling please contact Lion Rich Tesar. COMMITTEE: Lion Skip DeYoung will be contacting Lion Past Presidents to meet and nominate a slate of officers for 2014-15. The meeting will be in January 2014 so that we can have the required 3 readings of the slate prior to voting. Two guys were riding in a car, arguing about how to say the name of the city that they were in. One said "Louisville" and the other said "Louiseville." They went on arguing and arguing until they came upon a fast-food restaurant. The one guy goes inside and says to the waitress, "Tell me the name of the place where I am right now really, really, really slowly." PROGRAM: Lions Jim DeGroot, Clint Verhagen and Frank Modra have the program for this meeting. They will have a musical ensemble led by Carlos Perkins to entertain us. CHILI DINNER: Congratulations to Lion Frank Knittle and his “team” for another outstanding Chili Dinner. Details will be available at this meeting. BOWLING: The District 1A bowling tournament will be held in February again this year. All interested should contact Lion Rich Tesar. DINNER: Chicken, corn, potatoes, salad, rolls and butter, coffee and dessert. PROGRAM: Lions Craig Vinke, Ted VerHaar and Sherwood Cotton have the program for this meeting. They will have Cynthia Ogorek and she will talk about the History of the Calumet Area. CHILI DINNER: The annual Lions Club Chili Dinner will be held Tuesday, November 12, 2013. The cost will be $10.00 for “All you can eat.” It will be held at the South Holland Community Center from 4:30-7:30 PM. Dessert donations are needed from all Lions for this event. Sign- up sheets to work will be available. CANDY DAY SALES: A follow up report will be given regarding the top street sellers and final money collected.